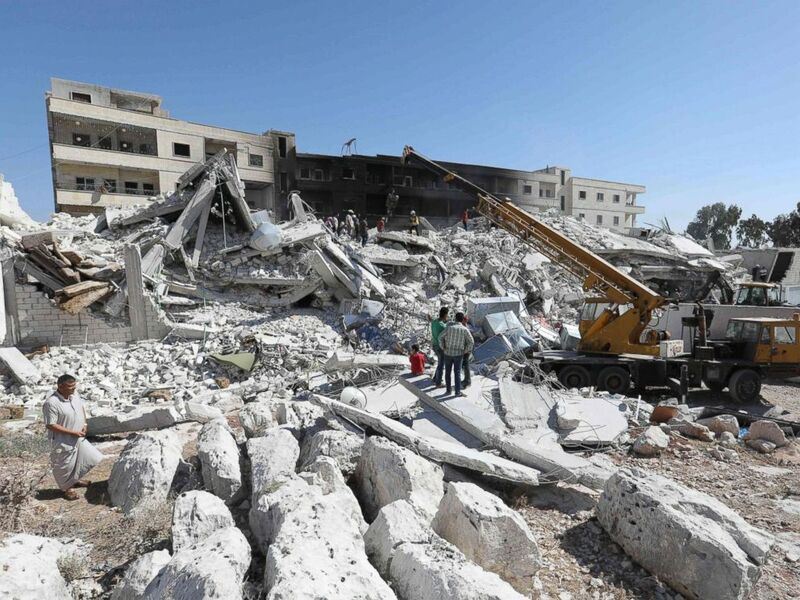 The death toll from an explosion in an apartment building in rebel-held northwestern Syria has risen to 69, including 17 children, a monitoring group said on Monday. A tractor clears the rubble of destroyed buildings, Aug. 13, 2018, following an explosion at an arms depot in a residential area in Syria's northern Idlib province city of Sarmada in which dozens of people were reportedly killed. The explosion happened on Sunday morning in the town of Sarmada, when a weapons depot in the basement of an apartment building detonated, according to the U.K.-based Syrian Observatory for Human Rights. Most of the residents in the building had been displaced from Syria’s Homs province, the organization said. Fifty-two of those killed were civilians, including 17 children, and the rest were mostly rebel fighters, the monitoring group said. 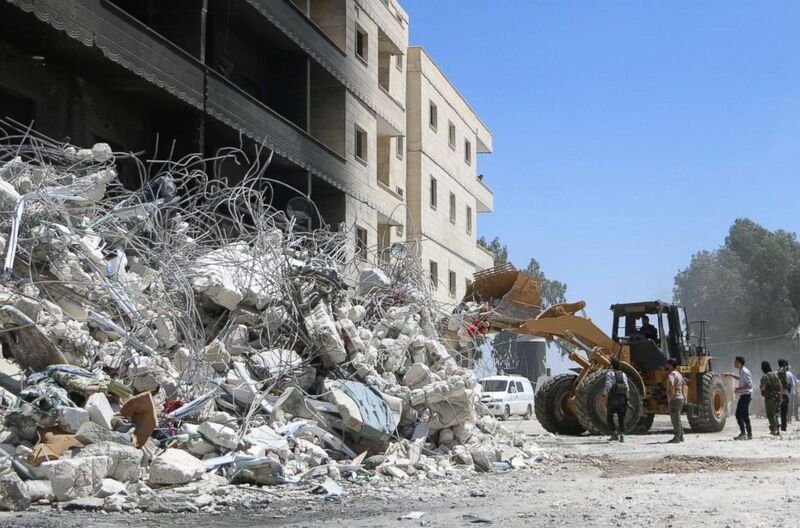 Destroyed buildings from an explosion at an arms depot in a residential area in Syria's northern Idlib province city of Sarmada, Aug. 12, 2018. The White Helmets, a Syrian search-and-rescue group, gave a slightly lower toll, saying 67 people were killed and another 37 injured in the explosion. The group said the explosion destroyed two buildings and that the search-and-rescue operation took 22 hours. 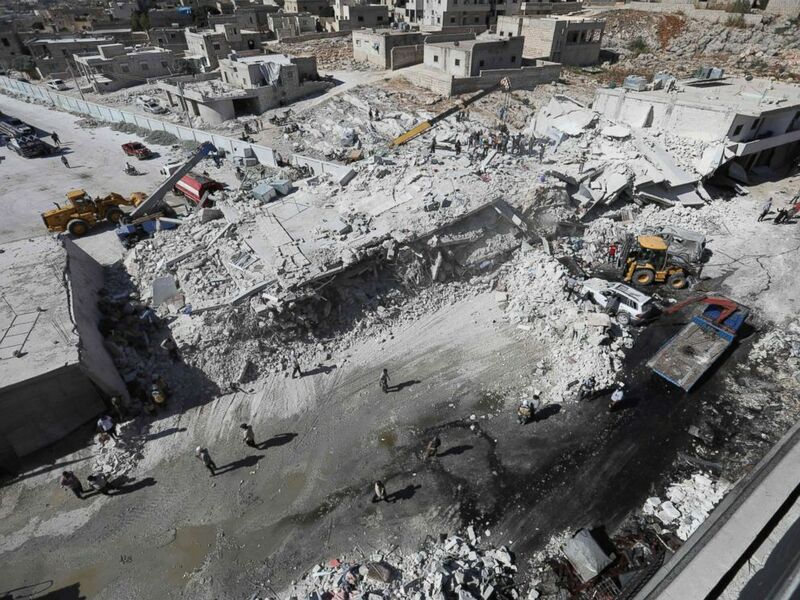 Destroyed buildings are seen on Aug. 12, 2018 following an explosion at an arms depot in a residential area in Syria's northern Idlib province city of Sarmada.